Indian Army has released an official notification for recruitment of Soldier General Duty Posts & Various others in Indian Army. The posts will be filled through the Physical Test and Interview process. Army Recruitment Rally will be held at Junga, Shimla (HP) from 03 June 2019 to 15 June 2019 for the category of Soldier General Duty (Sol GD) and Soldier Clerk/Store Keeper Technical (Sol Clk/SKT) candidates of Shimla, Sirmaur, Solan and Kinnaur Districts of Himachal Pradesh. The candidates who are interested to apply for the recruitment drive should visit the official website. Online registration is mandatory and will be open till 18 May 2019. Download the official notification and check all important details including Important dates, Eligibility Criteria, Application Fee, Selection process etc. 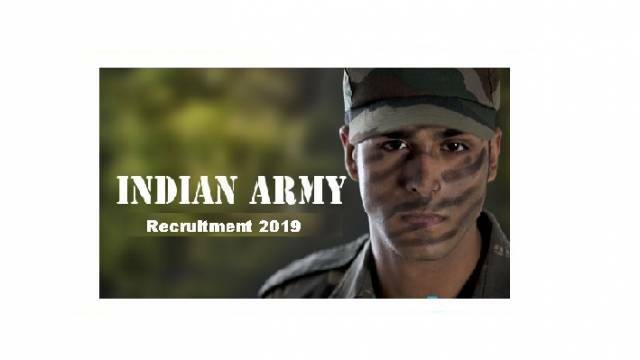 Interested and Eligible candidates can apply for the recruitment drive via online by visiting Official website page at www.joinindianarmy.nic.in Indian Army Recruitment 2019. Common Entrance Examination (CEE) will be conducted for Soldier General Duty and Soldier Clerk/SKT category for all Medical Examination FIT candidates at Govt Girls Sr Secondary School, Portmore, Shimla (HP) at 05:00 AM on July 28, 2019.